Have you ever had a secret that you wanted to shout from the rooftops?! That’s how I feel about this Secretly Healthy Potato Soup. This is one of those good secrets that you just can’t keep to yourself and you know that others NEED to know about it, because it will change lives. In a drastic and positive way. Yes. This potato soup will change lives. This ultra creamy potato soup, has NO cream in it. Let me give you a moment to process that. NO CREAM. So why is it so creamy you ask? Because I know you.. and I know you’re truly wondering, how is this soup so utterly creamy without cream. Maybe she just mixed up some milk and flour? Nope. No milk. No flour. In fact, other than the cheese that I put on top (because let’s face it I have to have some fun in my life) there is no dairy in this soup. At this point you’re probably thinking to yourself, she’s lost it. She’s gone off the deep end. I mean, look at this soup. It’s obviously creamy. But no dairy? What type of magic is this? Ok, the secret. Have you guess yet? It’s cauliflower. That’s right. This soup is made with a cauliflower puree, loaded up with chunks of potato. Seasoned with some onion and garlic. And that’s pretty much it. Coming in at about 170 calories per bowl, loaded with sneaky veggies, this little bowl of comfort is basically the best thing since Netflix. Even better? The kids love it. If you’re looking for an ultra creamy, fully loaded Potato Soup I have that too!! 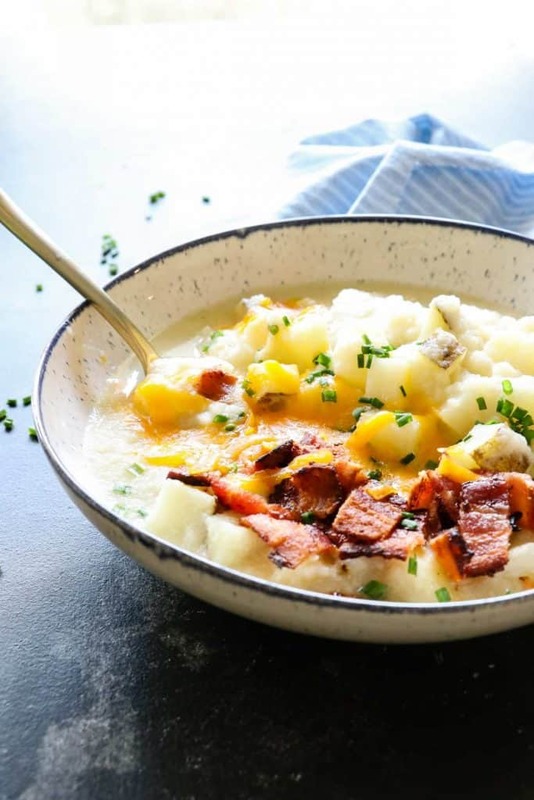 WANT TO TRY THIS SECRETLY HEATLY POTATO SOUP? 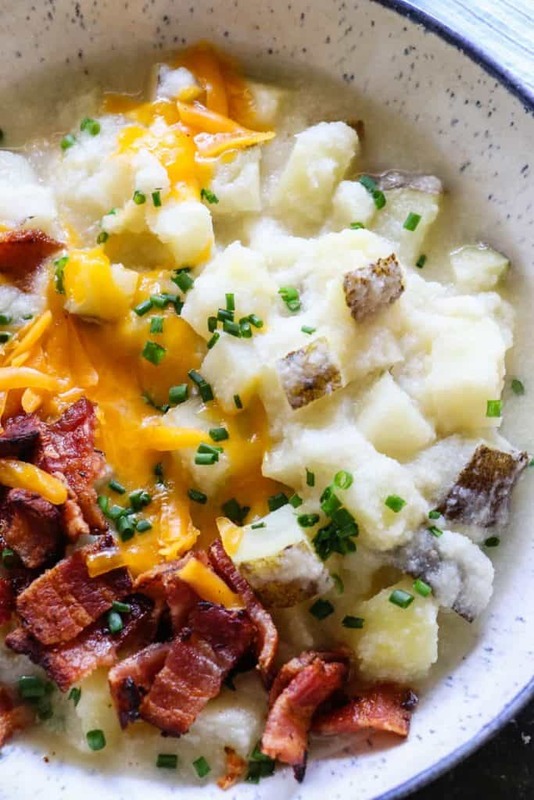 This Potato Soup is smooth and creamy. Loaded with chunks of potato. Plus it’s secretly healthy, made with no milk or cream! Add olive oil to a large pot and heat over medium heat. Add in the onion and garlic. Stir and cook for about 3-5 minutes until soft. Add in the cauliflower, chicken stock and salt. Bring to a boil and simmer for about 10 minutes, until the cauliflower is soft and easily mashed. 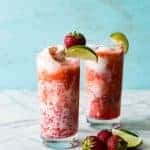 Using an immersion blender (or transferring over to a blender or food processor (affiliate link)) blend until no lumps remain. Add in the diced potato (I left the skin on one potato and peeled the other one. I like the rustic look and feel of the skins being left on. Completely a personal preference though). Cover and allow to simmer for about 15 minutes until the potatoes are soft and tender. Spoon into a bowl and top with any additional toppings you desire! 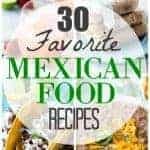 Cheese and bacon are my favorite, but you could also do sour cream and green onion. 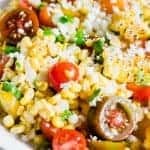 This is a dairy free recipe. I just have mine topped with cheese, but it’s definitely not required. Feeling in the mood to put on some slippers, a sweater and eat soup? I swear there is NOTHING that cauliflower can’t do, right?! It’s like the magical ingredient that just keeps giving! SO GENIUS that you used it in this soup! 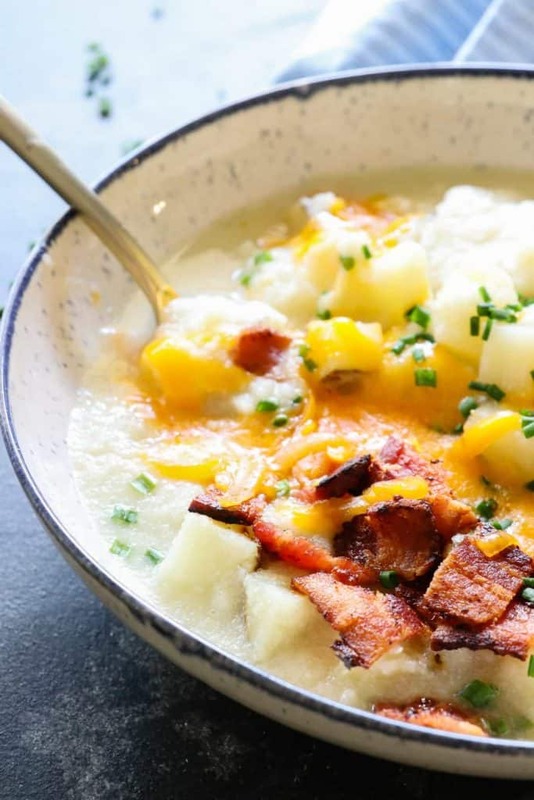 I LOVE me some potato soup, but let’s face it, my waistline doesn’t love it so much! 😉 Thank gawd this soup is secretly healthy, because now I can eat at least a dozen bowls of this potato soup and still feel like a good person!! I’d call that winning, for sure! Can’t wait to try this, girlfriend! Pinned! Cheers!! Into it! Used purple potatoes and purple cauliflower, and used homemade vegetable broth. Added some dried jalapeños, too! 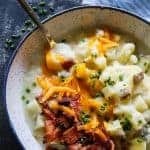 Def using this recipe as my go-to for potatoe soup! I am really excited to make this. 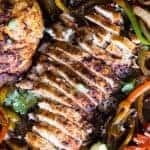 I’m new at trying to cook and make healthier dishes for myself and my husband. So I. Hoping that this will be a great soup for the winter months and a soup that my husband will love. I am going to try this recipe tonight and not that’s it’s a big deal or anything, but what is the serving size for the 175 calories? how many cups? 1 or 1 1/2 cups? Or how many ounces? 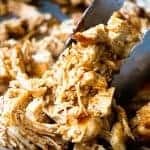 I will absolutely make another comment on how this recipe turned out for me. The bacon is absolutely optional. 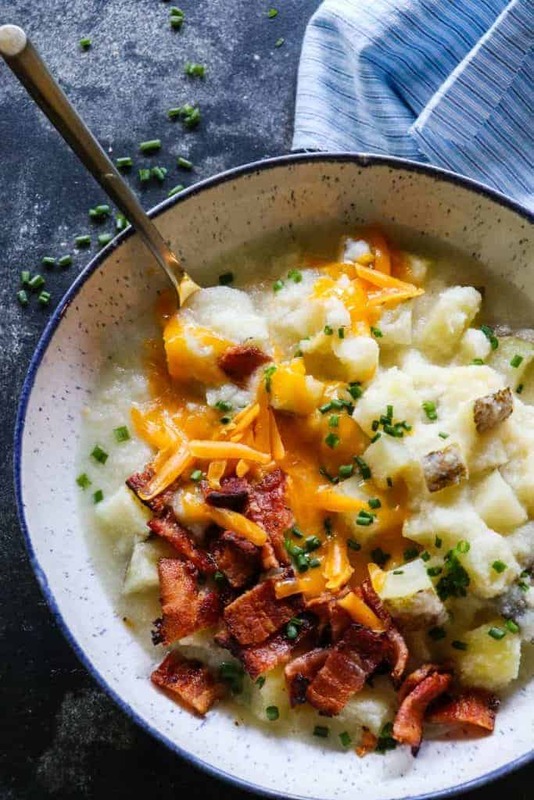 This is a healthier version of potato soup due to swapping in some cauliflower. Everyone has a different idea of what healthy is. I find it best not to attack people for their food choices.